JANUARY 2019 – Create a statement about using the Bryn Mawr Digital Competencies Framework as the starting point for developing institution specific frameworks. 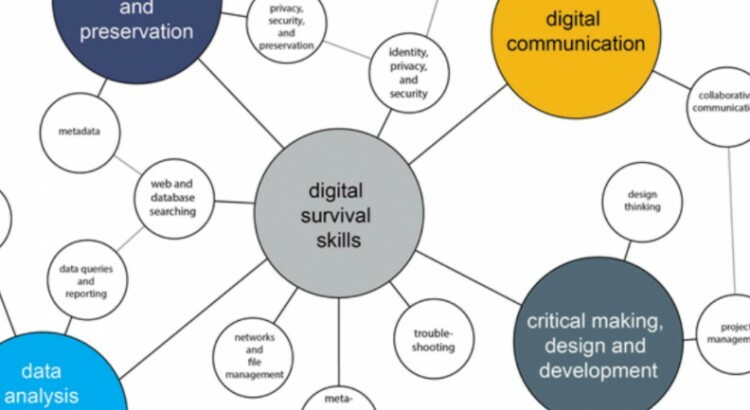 FEBRUARY to APRIL 2019 – Use this statement to establish institution specific channels to adjust, promote, and adopt a digital competencies framework. Find ways to connect to institution specific initiatives (Academic Strategic Plan, seed grants, exemplar courses). FEBRUARY 2019 following ELI workshop – Develop and send out a shared survey across several schools to recent grads around the use and needs of identified digital competencies. Use to adjust digital competency framework and strategies. See also LACOL’s part in the ELI Liberal Arts Workshop: Local and Global Decisions: Development and Assessment of Digital Competency Initiatives on Feb 19, 2019 in Anaheim, California.